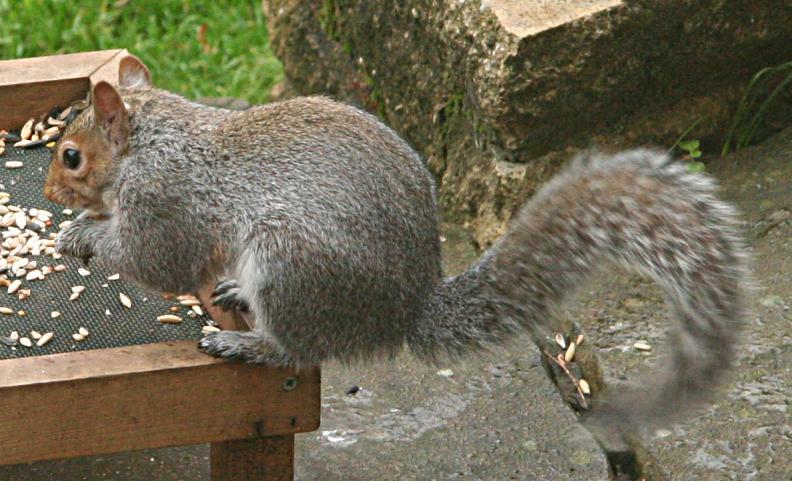 Known as the grey squirrel in the UK, it was introduced from North America in the late 19th century. It's seen here taking food which was intended for birds. 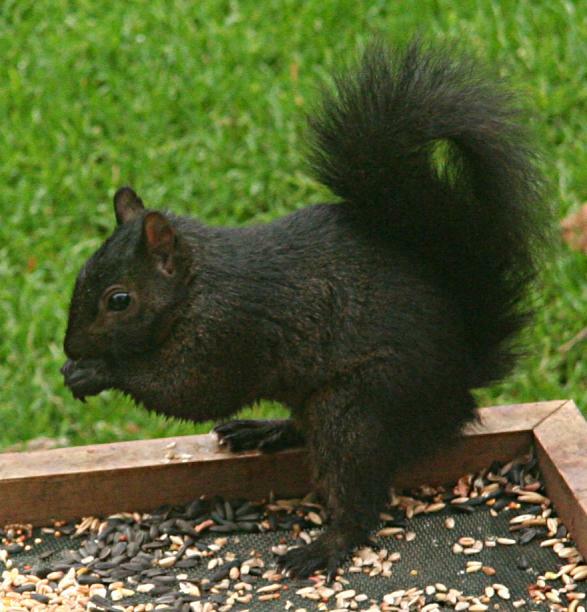 There seem to be increasing reports of this dark-coloured 'black' variant of the same species. Certainly I've been seeing one regularly in the garden here in Milton, near Cambridge.